Since 2006, Little Leaguers® have had the opportunity to submit an essay of 100 words or less on their experience playing Little League® to be eligible for the Robert H. Stirrat Little League Baseball® Camp Scholarship. The Stirrat Scholarship awards Little Leaguers with round-trip transportation and free admission to the Little League Summer Baseball Camp held in Williamsport, Pa., each summer. 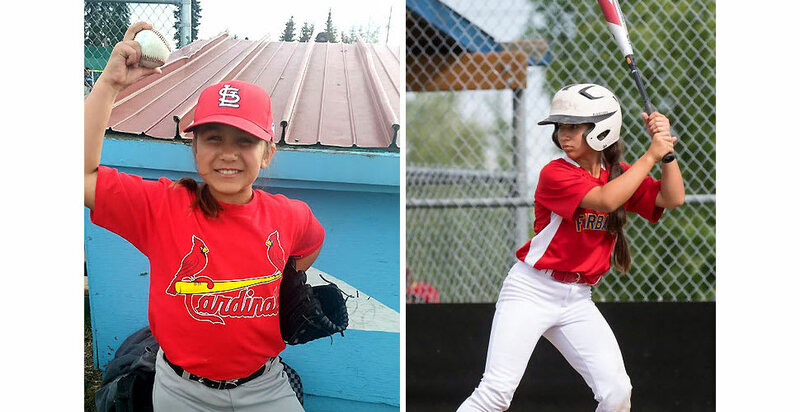 Little League International received 800 applicants in 2018, including Nadia and Anya Chernich from Fairbanks, Alaska. Nadia, 12, and Anya, 9, are two of the three recipients of the Stirrat Camp Scholarship. The Chernich sisters were on their way to a softball game when they heard the news that they won the scholarship. The free stuff the Chernich sisters experienced consisted of hitting, pitching, fielding, and base running lessons, which was covered by Little League camp instructors and counselors. The campers also receive well-balanced meals prepared in the cafeteria and also had the opportunity to stay in the same dorms as the Little Leaguers that participate in the Little League Baseball World Series inside the Dr. Creighton J. Hale International Grove. Although Nadia enjoyed the free food and the fun drills she participated in, there was one aspect that stood out to her that made the camp experience worthwhile. “My favorite part of camp was seeing all the different campers and learning about other people,” said Nadia. During her time in Williamsport, Nadia mentioned how it was refreshing to play in baseball weather instead of the conditions in Alaska. But, the Alaskan weather would not stop the Chernich sisters from practicing. Anya also insisted that playing baseball in the snow isn’t the only unique practice they take part in. The weather in Alaska is not the only barrier Nadia and Anya said they deal with it when it comes to baseball. Nadia mentioned in her essay what it is like playing Little League Baseball as a girl, but she said she doesn’t let it affect her. Nadia may excel at Little League Baseball, but she has bigger dreams and other barriers she wants to deal with. To learn more about Little League Baseball Summer Camp, visit LittleLeague.org/Camp.